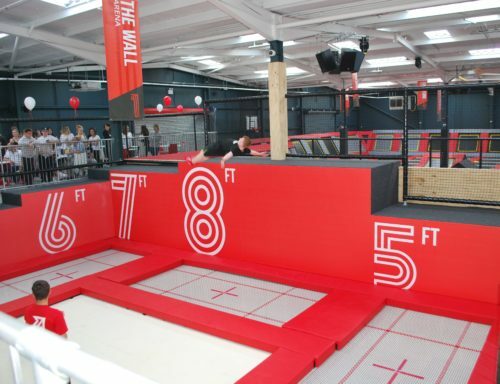 When Andrew Lester and his fellow directors were looking for a site for the first Jump Evolution Trampoline Centre an industrial unit in Harold Hill proved to be their first choice. Now following an investment of more than £1 million the impressive premises is open to the public, having been converted from an industrial warehouse in just 12 weeks. 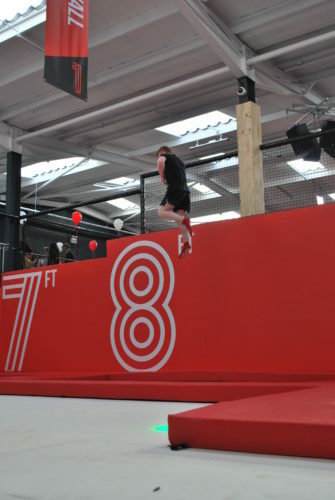 Andrew said: “This is the first of five Jump Evolution centres we intend opening in the next few years so it was important we got the right location. “Harold Hill has excellent transport links. We are right on the A12 which gives easy access to the M25 and A127, bus routes are close by giving easy access to Harold Wood station, which will soon have Crossrail making it easy for people to reach us. The centre can accommodate 175 jumpers at any one time along with spectators on the ground and mezzanine floors, each of which has a café. Safety is a priority with each jumper having to watch a safety video before being allowed onto a trampoline or into the foam pits.